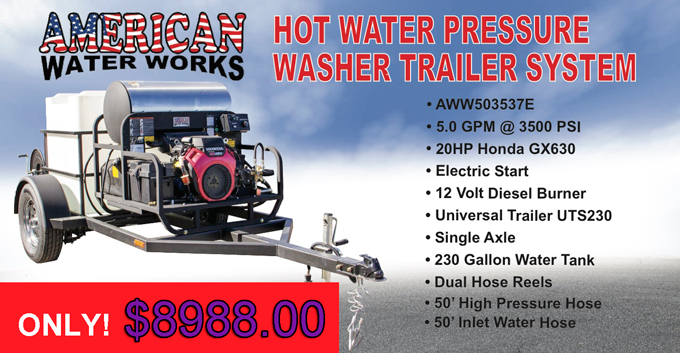 Your resource for pressure washers, trailer systems, water reclaim systems and parts washers. American Water Works is the leading provider of cleaning solutions to Southern California. Our team of experts can help match the right products to your cleaning needs. Whether you are looking for equipment, parts, accessories or service, you will find that our wide range of products is superior in Southern California.